Just like your landscaping, shutters, siding, porch, and other exterior elements, your driveway is part of your home’s curb appeal. That means a driveway that’s largely dirt or gravel can be an eyesore on an otherwise attractive home. 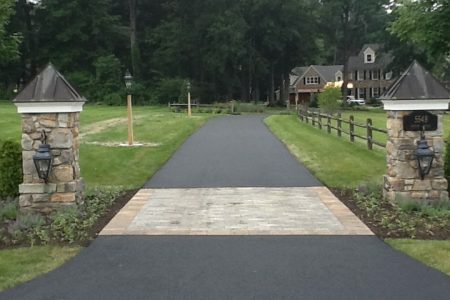 At Mr. Pavement, we want your driveway to not only look great, but add functionality too. That’s where our driveway paving services come in. 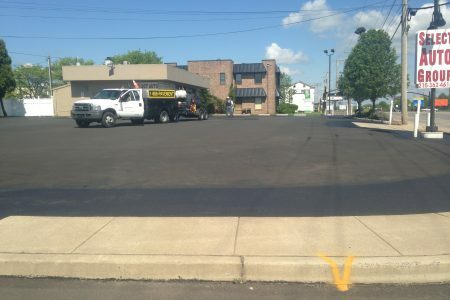 Asphalt is the most traditional driveway material in the country, and for good reasons: Asphalt is not only durable, but it’s also very affordable. An asphalt driveway is built to last and can withstand a variety of natural elements including sleet, hail, UV rays, snow, rain, and more. Plus, the rich black color of asphalt can add sophistication to your home. And with the right foundation and correct installation, you won’t have to worry about your driveway cracking or suffering from holes. At Mr. Pavement, our driveway paving experts will map out, prepare, and install your driveway with precision so that you can enjoy its beauty and functionality for years to come. 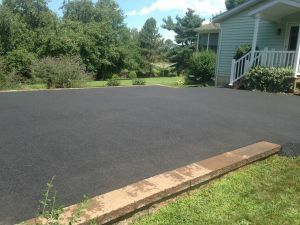 If an asphalt driveway isn’t what you’re looking for, we can gladly introduce you to a paver driveway. Pavers come in a wide variety of shapes, sizes, and colors, so you can choose the ones that speak to you most and will give your home a touch of character. Like asphalt, pavers are built to withstand the elements and can last for decades, however, because pavers are laid individually, there’s a greater chance for cracks. Luckily, this can usually be fixed by replacing the damaged paver with a new one. If a paver driveway is for you, our experts can help you create a design that complements your home’s style and adds to its curb appeal. Whether you’re interested in an asphalt or a paver driveway, talk to our driveway paving experts today. We’ll assess your current driveway situation and help you decide on a shape and size that’s best for you.